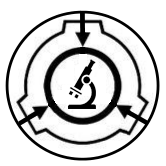 THE PURPOSE OF THIS PROJECT IS TO FIND OUT THE ORIGINS OF THE ITEMS PRODUCE FROM SCP-1437. ONCE THE PROJECT ENDS, YOU ARE TO POST ALL TEST RESULTS INTO ONE LOG, AND SHOW THE PROGRESS MADE. A STRIKE SYSTEM WILL BE IN PLACE. IF YOU ARE NOT FOUND TESTING WITHIN 3 DAYS, YOU WILL BE PLACED ON PROBATION FOR THE CONSECUTIVE THREE DAYS. IF YOU DO NOT TEST WITHIN THAT TIME, YOU WILL BE REMOVED. // Just going to mention, ICly we do not know anything about 1437 besides that it's a hole, if you go in you die, and sometimes stuff comes out of it. IF YOU WISH TO JOIN, TALK TO ME ON TEAMSPEAK. DO NOT BE SURPRISED IF YOU ARE DENIED. This test will be another side test I will do with some other researchers I choose myself. Do not sign up for this project. // 1437 tests happen a week later after I die as my Researcher, whom had interest in doing more with 1437. // That's basically all 1437 is..... right? // Damn, but I really doubt it does more, but then again this isn't exactly the same as the SCP Wiki lore wise. // It does a lot more. This project is now closed and sealed.